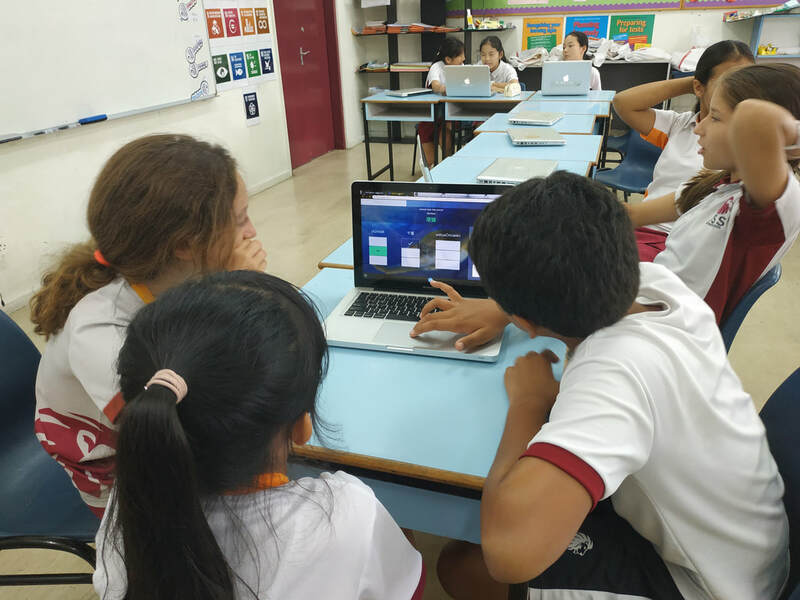 G5 students are doing Quizlet.live to review the new vocabulary in Mandarin class ! 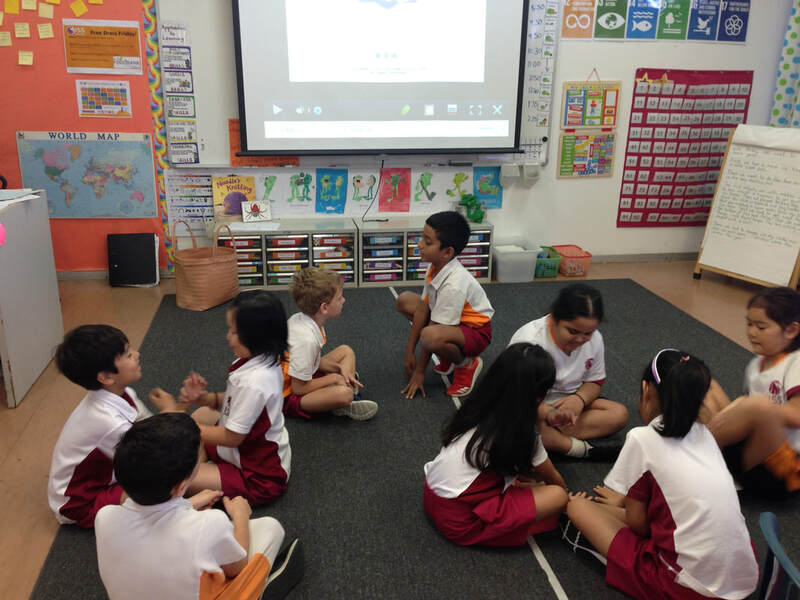 G3 students are practising the conversation of asking the weather in Mandarin. G4 students are presenting their holiday activities in Mandarin class. 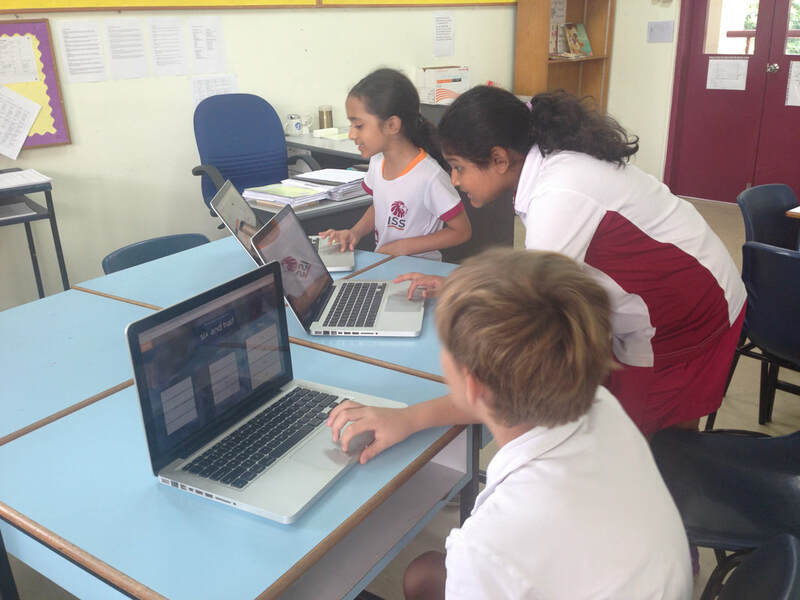 G5 students worked in groups completing a food menu from different culture and did a role-play in Mandarin. G1 students are sharing their foods and drinks menu with their friends. 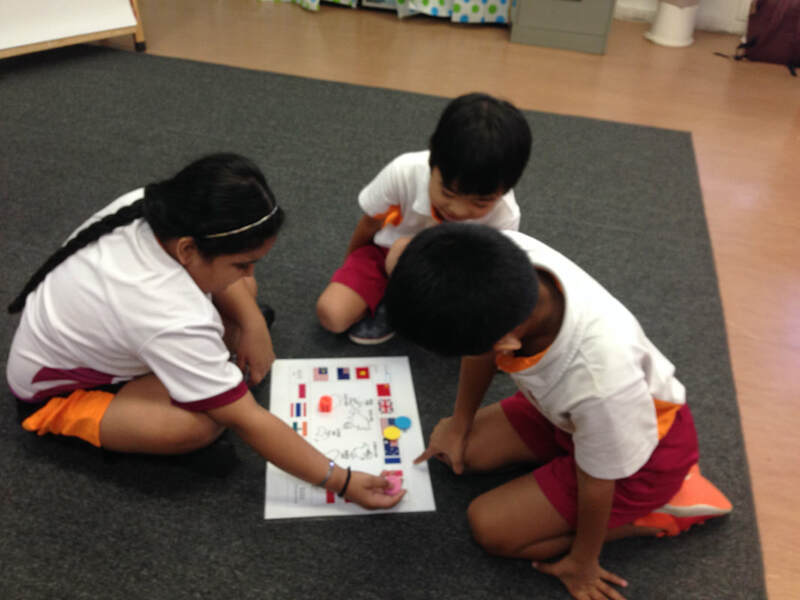 G3 students are working in groups to do a role-play of ordering foods. 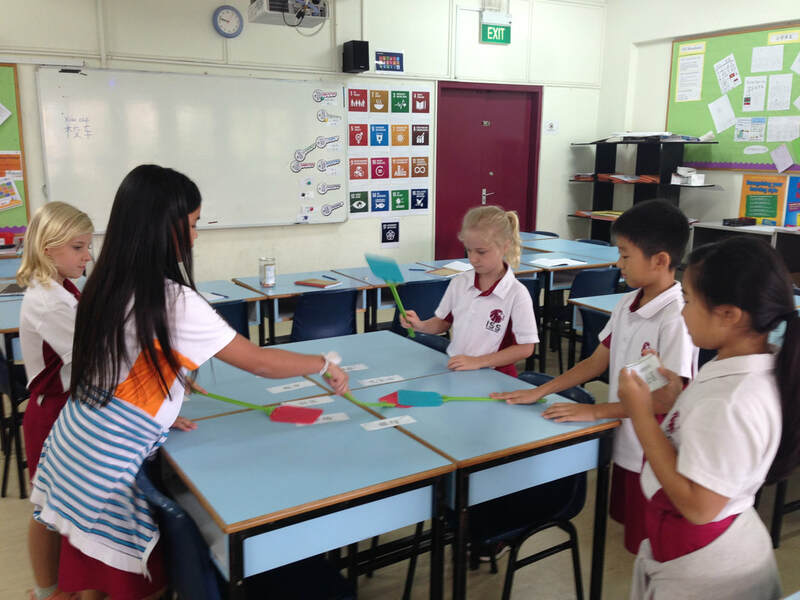 G5 Book week activities in Mandarin class! 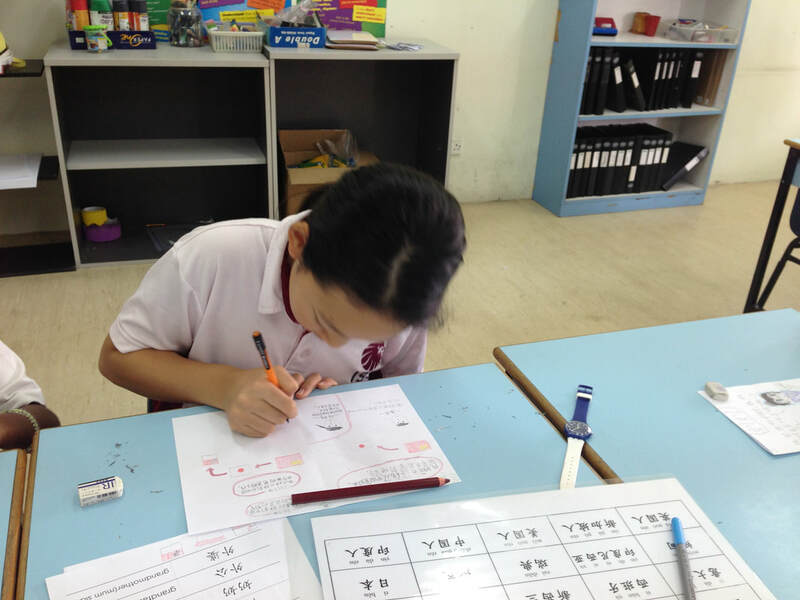 G4 students are creating stories in Mandarin class. 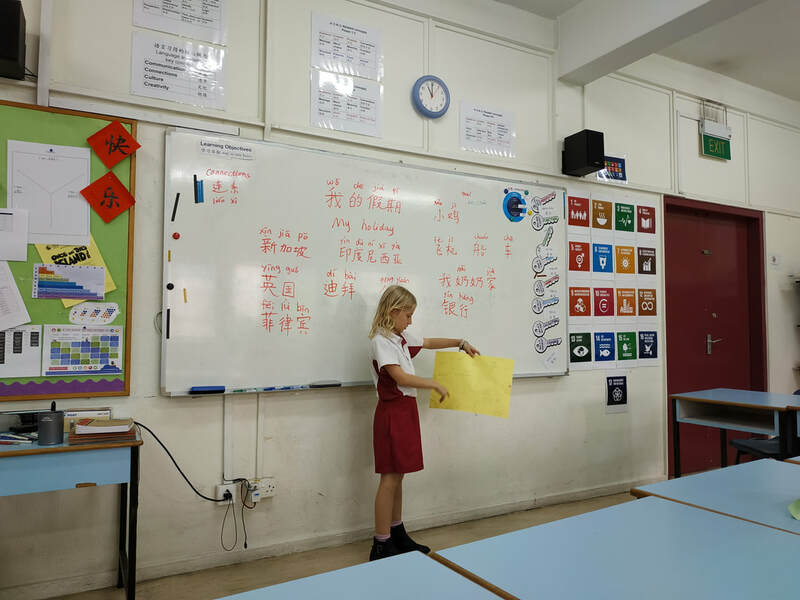 During book week, G1 students were exploring how to speak the characters that they chose in Mandarin, they also read Mandarin story books in pairs. G3 students are making a food menu using the words they have learned. 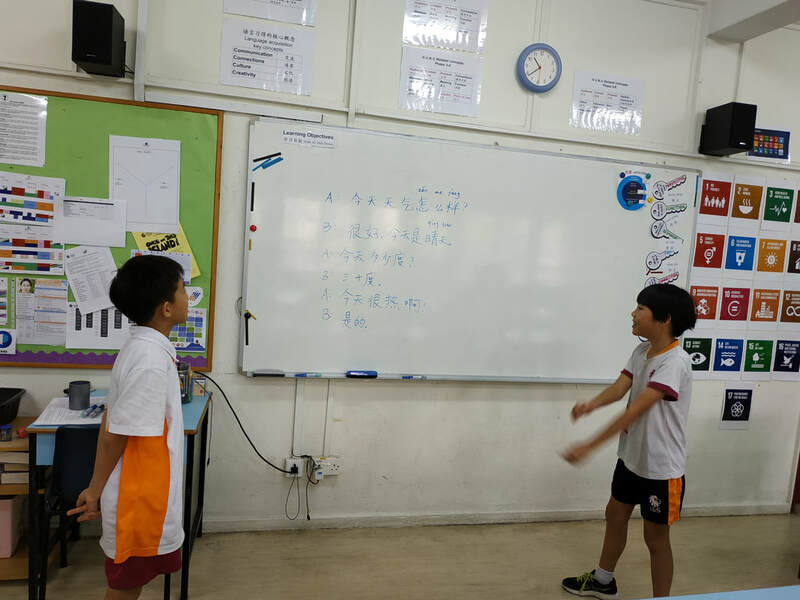 G5 students are doing a role-play of celebration in Mandarin class! 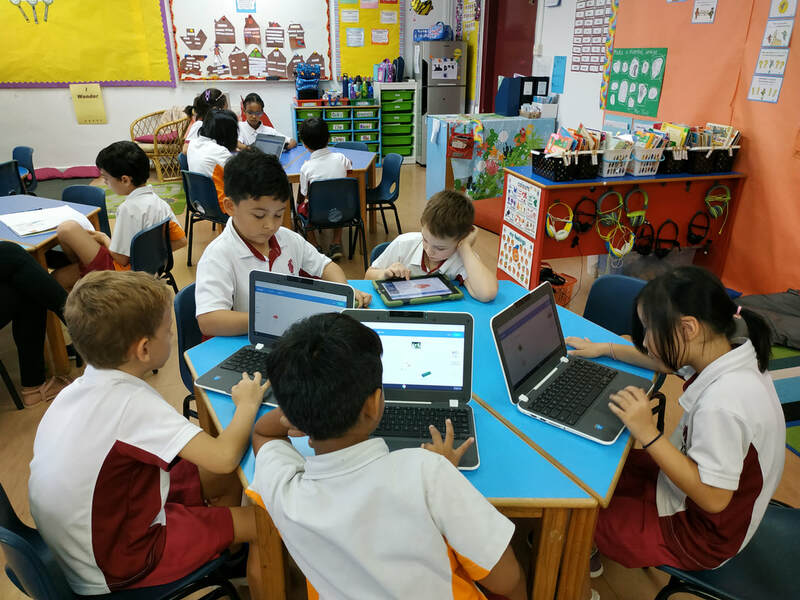 G1 students have learned fruits, vegetables and snacks in Mandarin, they are reviewing the new words through Quizlet in Mandarin class. 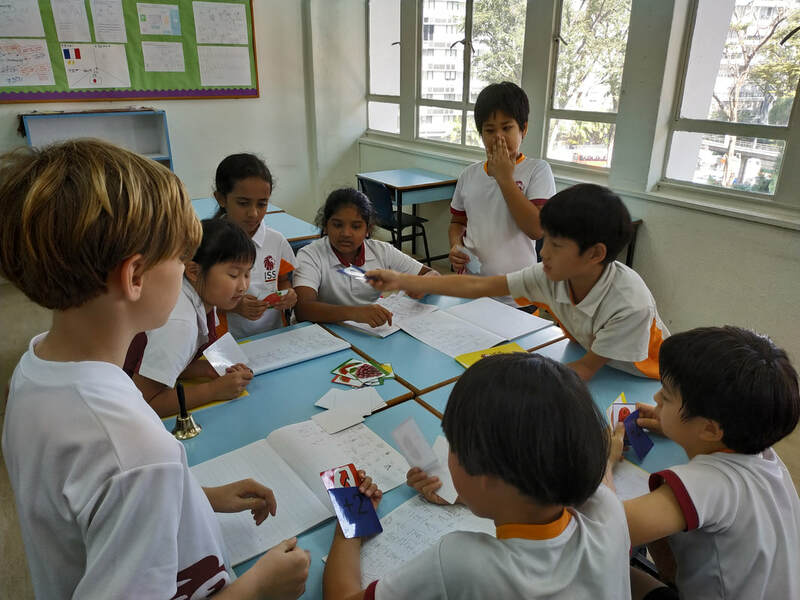 G5 have learned snacks, they made a snack menu and did a role play of ordering snacks in Mandarin class. G3 students are playing UNO to learn fruits in Mandarin. 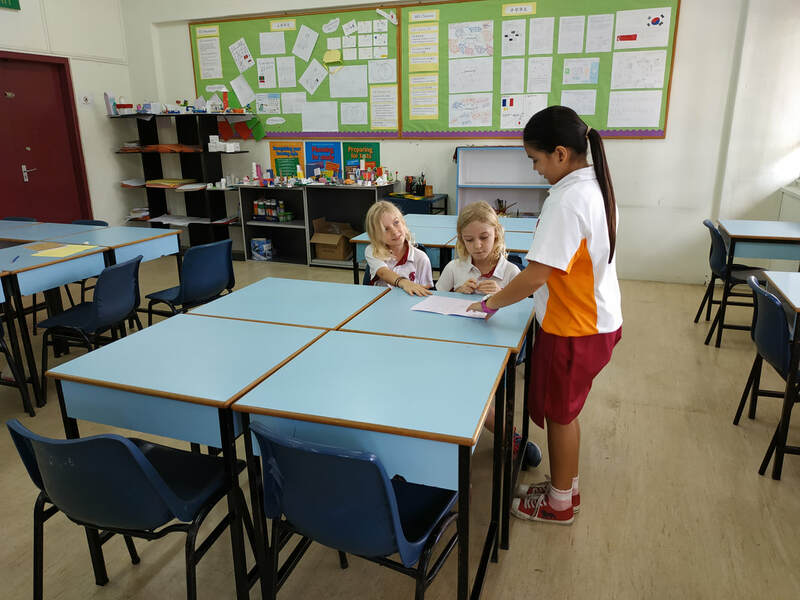 G4 students have learned drinks in Mandarin, they made a drink menu and did a role play of ordering drinks in Mandarin class. In Grade 5, students have learned the vocabulary of community and energy, they worked in groups making a future community and presented it to the class using directions words correctly. Students applied their previous knowledge of Energy when designing the 3D community. They understand the central idea and the key concepts of change and reflection by doling the project. After summative task, students did a personal reflection about their learning and ATLs. In Grade4, students designed a 3D community and presented it to the class using a basic range of vocabulary and simple sentences. They have shown their understanding of the central idea and key concept of change. They did a reflection using One Star and One Wish. In Grade3, students made a 3D school community and presented it to the class using simple sentences. In Grade One, students made different houses working in groups and presented using simple sentences to the class. They understand people from different places live in different houses. 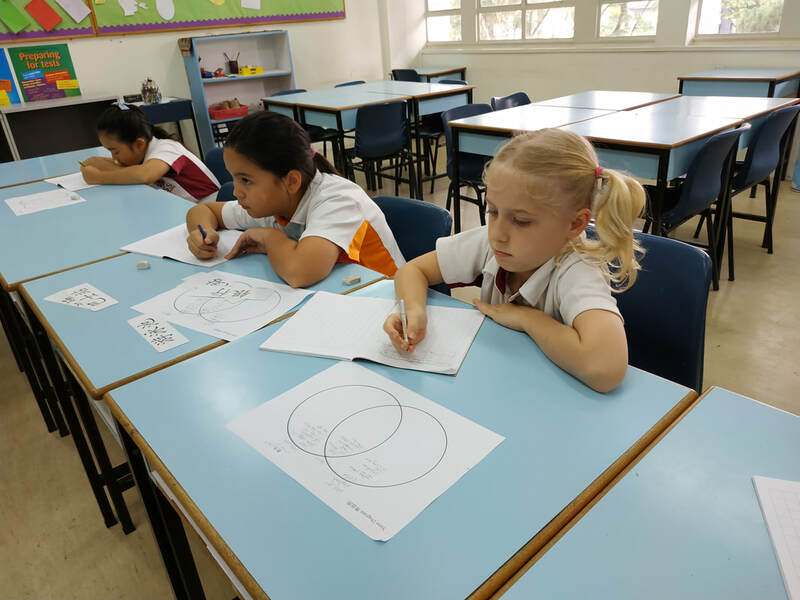 G3 students understand the concept of change by using a Venn diagram comparing the similarities and differences between their home country school and their current school community. 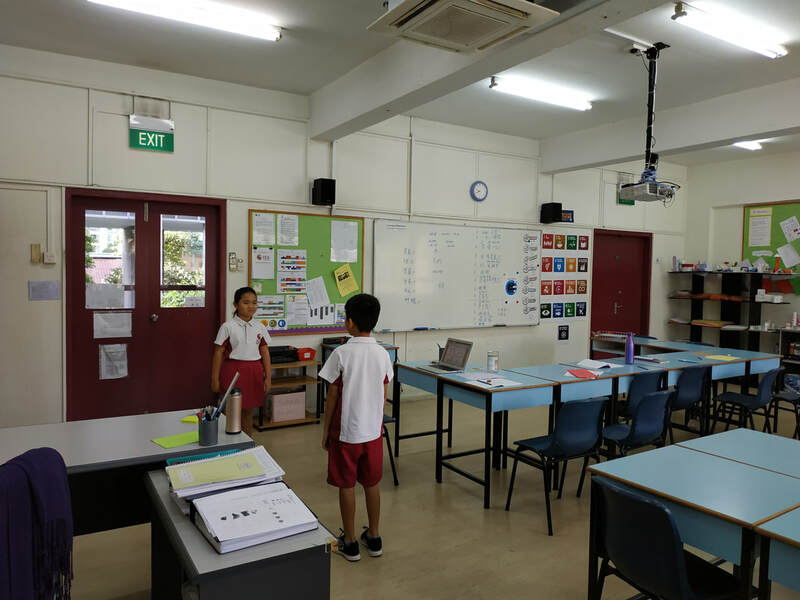 G4 students understand the concept of change by using a Venn diagram comparing the similarities and differences between their home country community and Singapore community. 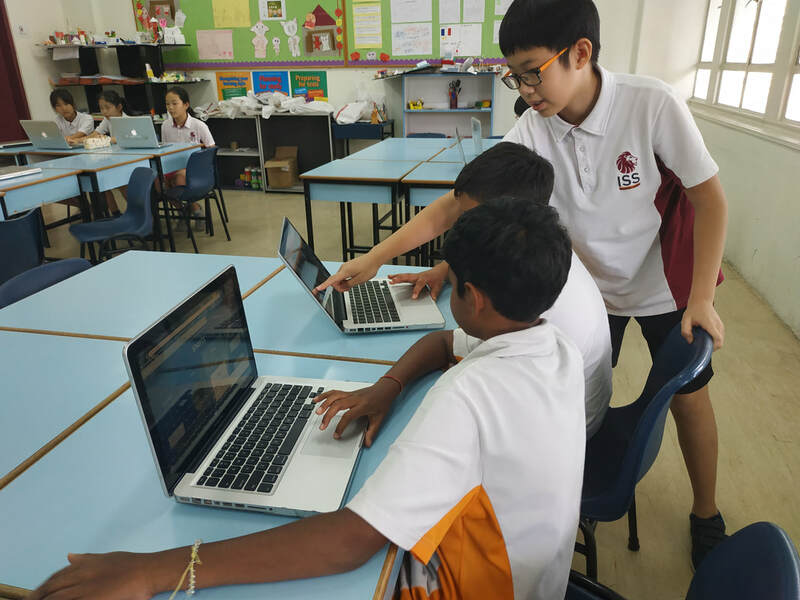 In G5, students have learned the vocabulary of community, they are working in pairs to create games to practice the vocabulary that they have learned in Mandarin lessons. G3 students unpack the new unit Community through watching a video "Poriruro is my home". They inquired the new unit central idea and the concepts. 你去哪儿？ where are you going? 我去图书馆。 I go to library. 图书馆在哪儿？ where is the library? 图书馆在一楼。 Library is in level one. 请问，去银行怎么走? Excuse me, where is the bank. 一直往前走，银行在超市左边。Go straight, the bank is on the left side of the supermarket. 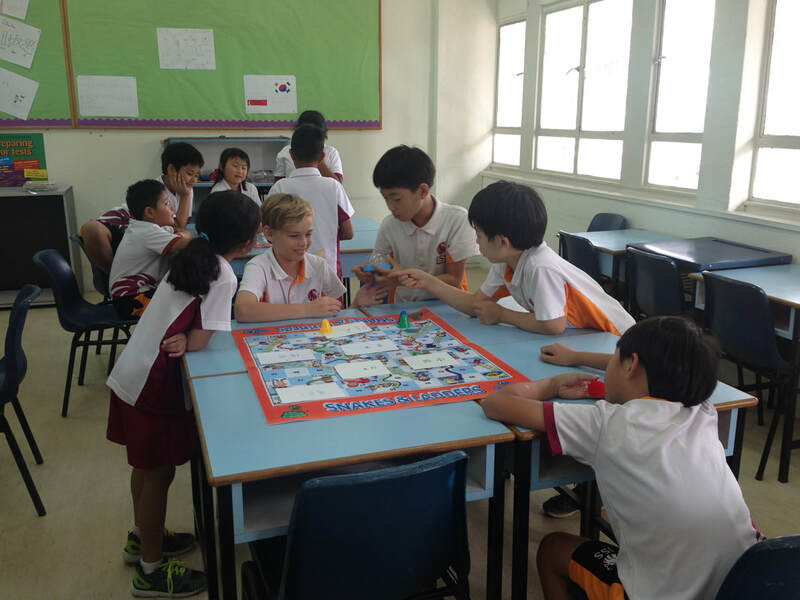 G1 students are learning hobbies, school activities in Mandarin lessons, students are sharing their hobbies with their friends in Mandarin. 她是老师。Tā shì lǎo shī. She is a teacher. 他是保安。Tā shì bǎo ān. He is a security guard. 我喜欢体育课。 Wǒ xǐ huān tǐ yù kè. I like PE lesson. 我喜欢打篮球。 Wǒ xǐ huān dǎ lán qiú. I like to play basketball. 这是铅笔。 Zhè shì qiān bǐ. This is a pencil. G4 students are learning vocabulary of neighbourhood community, they are doing games to review the vocabulary. 图书馆在北边。 The library is on the north. 我家附近有超市。There is a supermarket nearby my house. 超市在我家西边。 The supermarket is on the west of my house. 超市在哪儿？ Where is the supermarket? 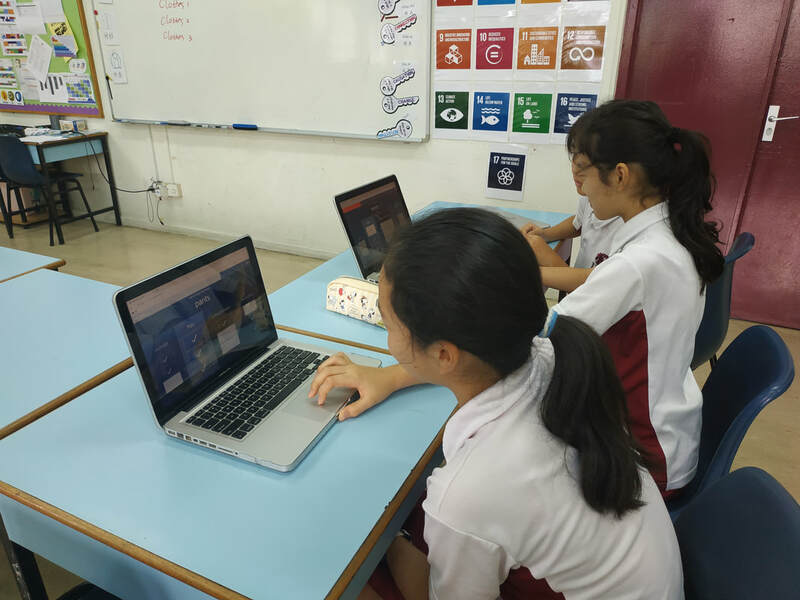 G5 Students has learned Migration in Mandarin class, they presented their family migration history to show their understanding of the key concepts of Change and Causation. 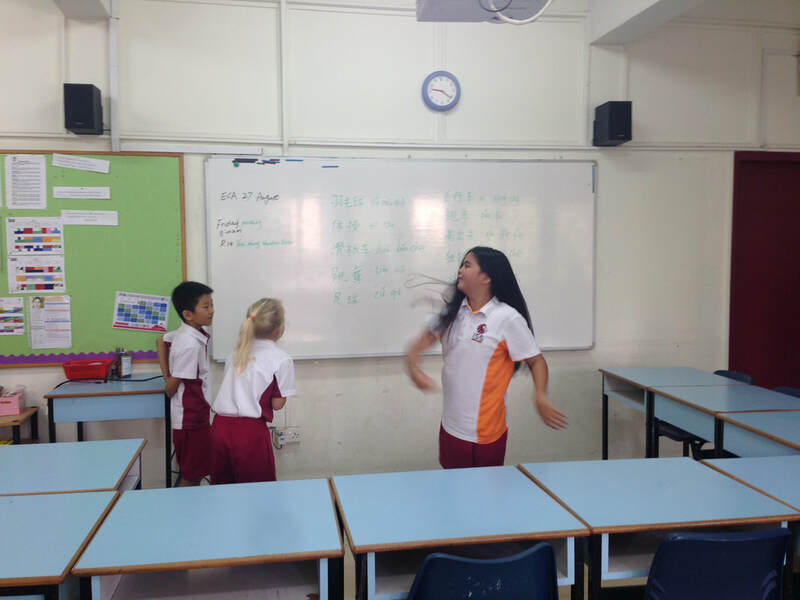 G4 Summative task Story telling "Zhen He". G3 Students has learned time, daily life in Mandarin class, they made a nonfiction book of My Daily Life and presented in class. G1 has learned colours, family members, countries and dates, they made a booklet of My Family and presented in class. 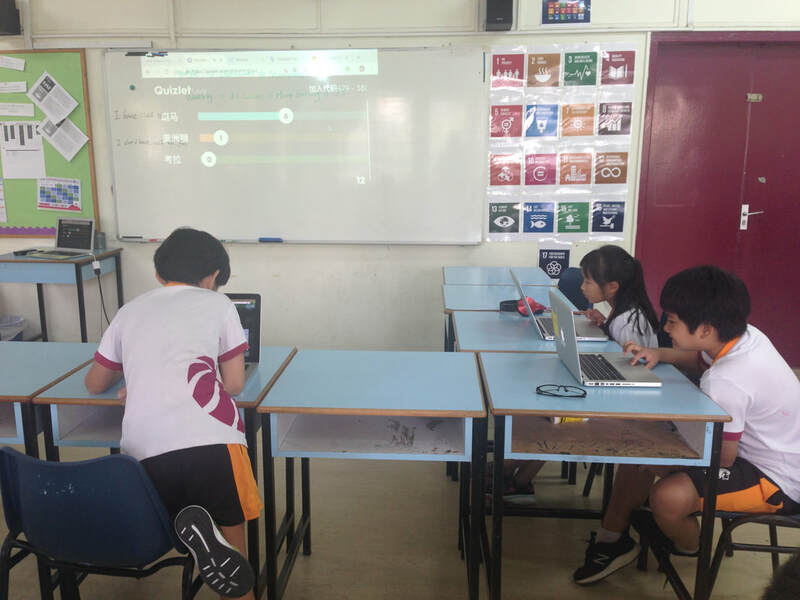 G3 Students are playing Quizlet.live to review the vocabulary they have learned in Mandarin class! 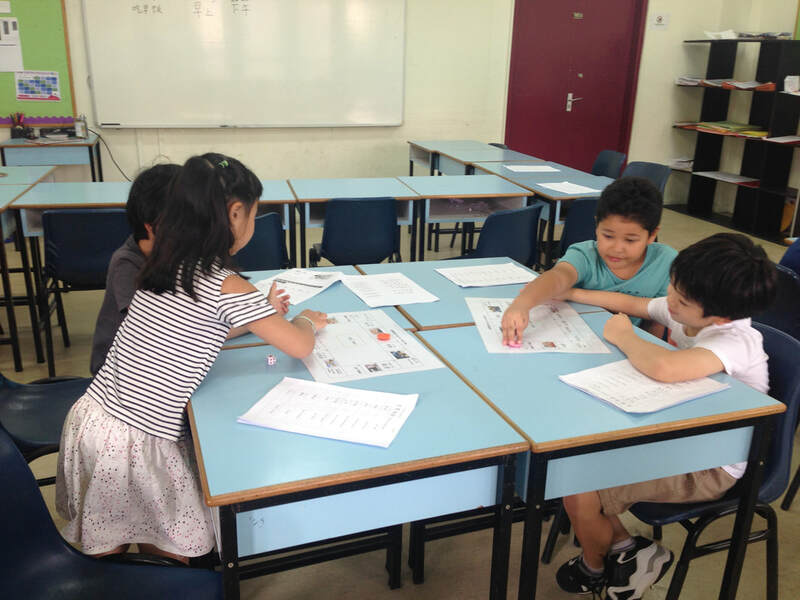 Grade 1 students are learning nationalities in Mandarin class. They are able to express their family's nationalities in simple sentences. 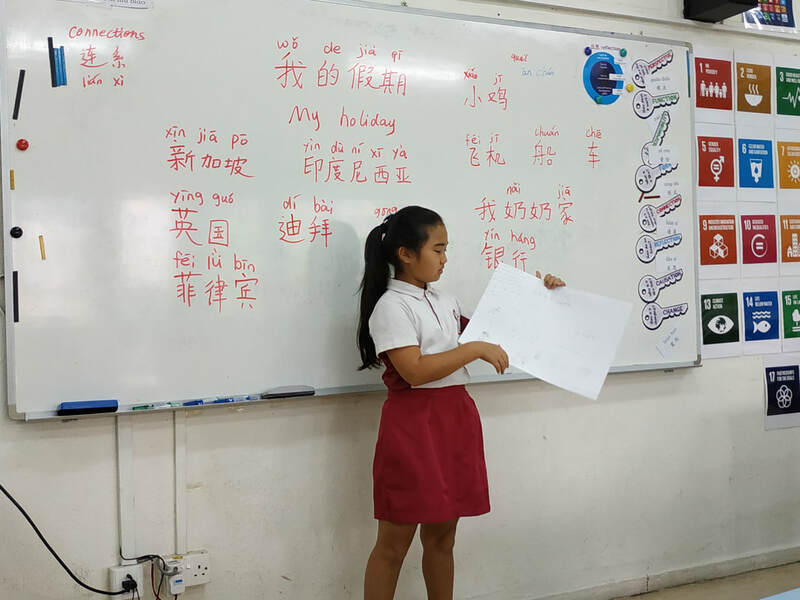 G3 students have learned daily routines and time in Mandarin lessons, they are able to express their daily routines in simple sentences. 12.现在几点？: What time is it now? 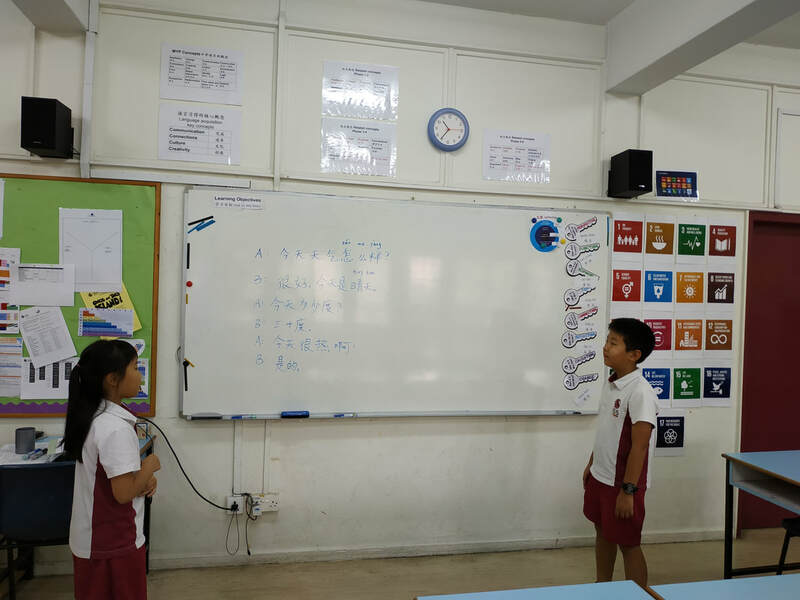 In G5, students are learning Migration in Mandarin, they have learned related vocabulary and sentences, they are able to express how their family migrate using simple sentences in Mandarin. They also made a book of Family Migration History. 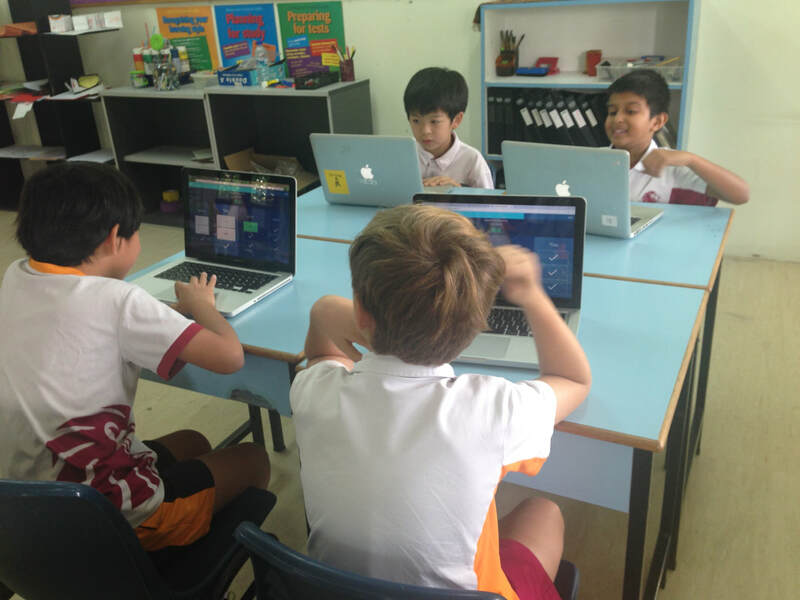 In G4 students are learning hobbies and they did fun activities to memerize the new vocabulary! 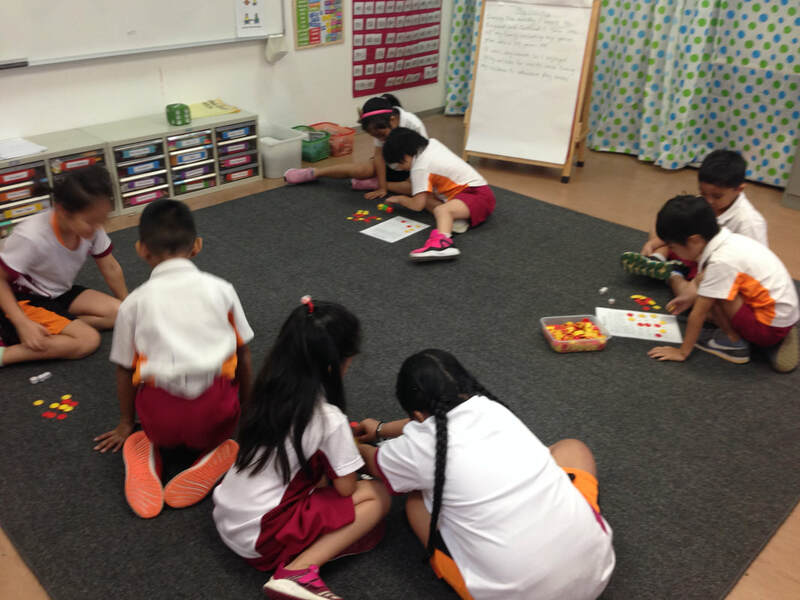 G1 students are playing math games to learn numbers in Mandarin. 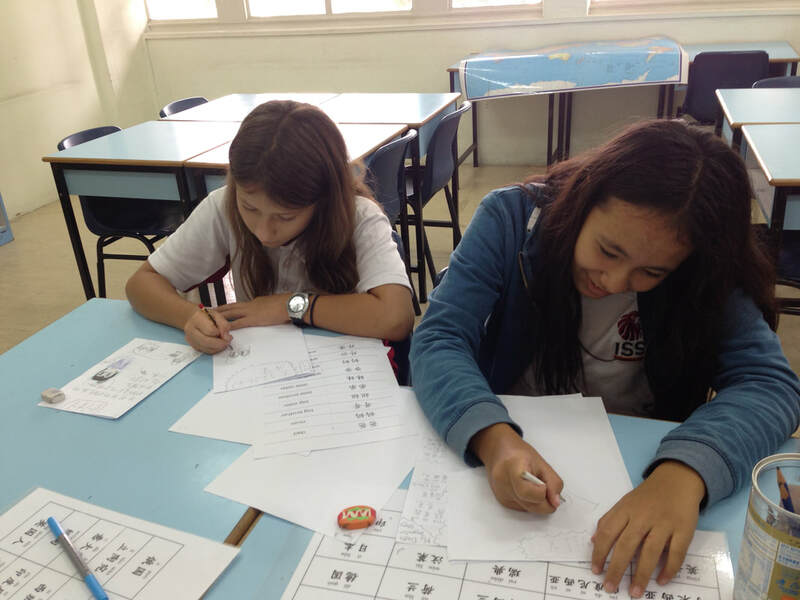 G3 students are playing snake and ladder to practice new words in Chinese!